Playos are, by definition, hip-hop artists driven by their love of the craft. Glamour and fame are not a priority for Playos, as they know there’s nothing else they’d rather do. 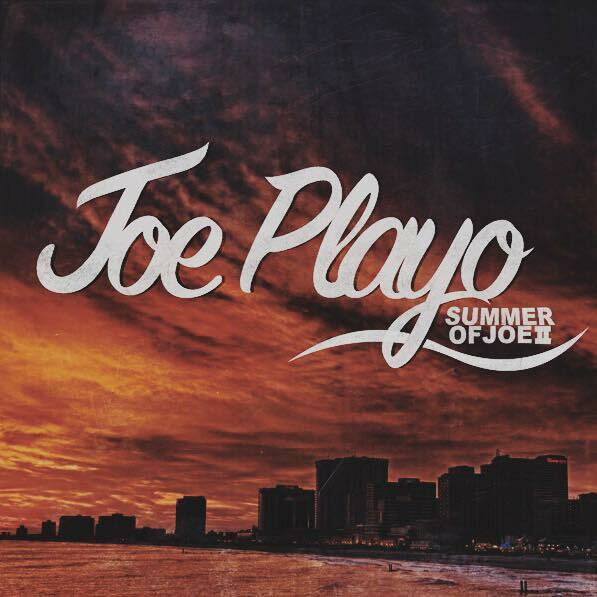 It’s no different for Joe Playo, who on 2015 released “Summer of Joe” to positive receptions, with the release becoming part of our FrostClick/FrostWire Featured Artists lineup (for all the FrostWire features visit FrostWire website). Around the same time a year later, he dropped the record that occupies us this time as a continuation of the project, “Summer Of Joe Vol. 2“. The album demonstrated signs of evolution, although Playo as an artist remains quite a recognizable fellow. Joe is an ambitious producer and charismatic entertainer with a playful style, and Vol. 2 establishes these characteristic in his proposal. Joe Playo is no regular MC in that he’s totally open with his audience, something that translates directly into his music. His rhymes often feel as thoughts coming from a real person, instead of a character created exclusively for entertainment’s sake. On “Dear Summer” he raps “I’m pretty close to 30 and not even in my prime/it’s kinda sad when I think…“. “No Daughterz” echoes a common desire for young adults “Man I just keep prayin’ that I never have a daughter” before considering that parenthood might not be that bad. The soulful instrumentation – piano plays an important role in a number of cuts – ends up giving the songs an extra sense of warmth and intimacy, bringing the project to another level. Joe’s production has also gone up a notch, with heavy-hitter “Playos Like 3.5” kicking it out of the park using a powerful loop as a baseline to full effect. Summer of Joe Vol. 2 comes off as an honest attempt from a rapper playing at the top of his game, but promising much more in the future. If you enjoyed the first record, this one’s a no-brainer. If you haven’t heard of Joe and enjoy authentic personalities with colorful deliveries, there’s a free download waiting at the door for you, too!